iXWebHosting is a decent hosting company and it provides several awesome hosting related services for its users. You’ll come to know almost all the services of this nice hosting company since this is the most detailed iXWebHosting review. Having a hosting pack that has the guaranteed 99.9% uptime is an awesome benefit. And if you see that your site is always running without giving any significant downtime, then this is just amazing. With iXWebHosting, you can work for your website without worrying about its disk space and bandwidth as both of them are unlimited. You can run as many websites as you desire on a single web hosting pack. Having so many domain and hosting services at an affordable rate is another benefit that’s regardless to say. At the time of running your website, if you face any trouble, you can easily contact the support team of the hosting provider by using the phone, email, live chat or support ticket. The opportunity to judge the performance of your hosting services for a long period of time is a great benefit. With iXWebHosting, you get longer than the usual testing period (up to 90 days) for checking how good the hosting services are for you. Not only is that you can host your site on Linux or Windows-based system as per your choice. iXWebHosting has full of awesome features and this part will reveal most of the features to you. Dedicated IP address. This is one of the exciting and thus notable features of this hosting company. Yes, you’ll get a dedicated IP address for your website on all the hosting packs of the hosting company. The dedicated IP address for a website is very helpful in many ways in running the website. Get a free domain. With the hosting plans of iXWebHosting, you’ll get to register a domain for free if the domain is available. This means that you can easily save some dollars that you would need to spend for a domain name. Unlimited storage. This makes you free to upload as much content as you wish on your website. So, you won’t have to calculate how much disk space of your website you have used in order to make sure that it doesn’t overload. Unlimited bandwidth. If the bandwidth of your site becomes unmetered, then you can be worry-free at the time of receiving any amount of traffic to it. That’s why to work for your website to drive tons of traffic without worrying about its bandwidth. This is the reason you don’t need to opt-in for the hotlink protection in order to limit your website data use. Unlimited domain hosting. You can host as many domains as you wish on a single hosting pack of iXWebHosting since there’s the facility to host an unlimited number of domains per hosting pack. Unlimited email accounts. If your site is xyz.com, then you can create an unlimited number of …@xyz.com email accounts. Just choose a suitable name in the place of dot signs and create as many email accounts as you want. 1-Click installer. Though there’s no facility to use Softaculous or MOJO Marketplace 1-Click installer in order to install your required scripts for your site, you can follow EasyApps Collection under the WebServer section. This is as easy as other good 1-Click installers. Control panel. The shared hosting plans of iXWebHosting don’t have the cPanel control panel though you can have the room for using the cPanel on any of the VPS hosting packs of the company. You can see the control panel of iXWebHosting shared hosting packs which isn’t that difficult to handle, but you can never compare the user experience of this control panel with cPanel. 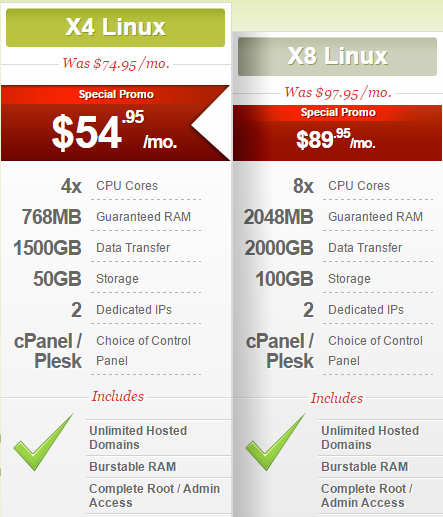 You can use cPanel or Plesk (depending on Linux or Windows) on the VPS hosting packs of iXWebHosting. Scripts. Almost all the CMS are available to install in iXWebHosting. You can install any of the CMS using EasyApps Collection. SSL certificate. To protect the privacy of site visitors, an SSL certificate of the site is a must-have element. So, you should also add an SSL certificate to your site if you really wanna protect the privacy of your site. There’s no free option to have an SSL certificate for your site though you can buy a certificate from iXWebHosting. From the Add-ons section, you’ll get the option. 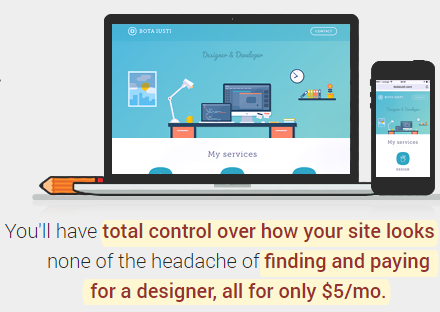 Premium website builder. Unlike many web hosting companies that provide a free website builder, iXWebHosting comes with a premium one that you can use only by paying a few bucks on a monthly basis. Security. You know that the security of a site should be at its peak, so you can be happy to use iXWebHosting as there many options to protect your sites from bad people as well as bad files. The SiteLock is too good to protect your site from so many unauthorized things and thus, you can use this to bolster the security measures of your site. Website transfer. iXWebHosting does provide a premium site transferring feature along with its weak website transfer tool. So, if you wanna move your site from another hosting pack of another hosting company to iXWebHosting, then you can use this feature by paying some money. 7-Day free trial. This is a fabulous feature of the hosting company as it gives an opportunity to use any of their hosting packs for 7 days on a trial basis. 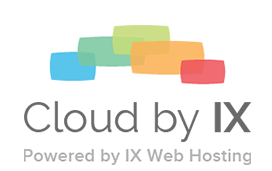 So, you can test the hosting services of iXWebHosting without paying a penny for 7 days. 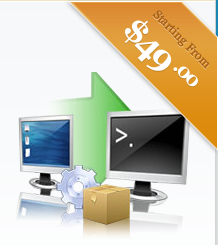 You’ll find this great option under each of the hosting packs of the hosting company. 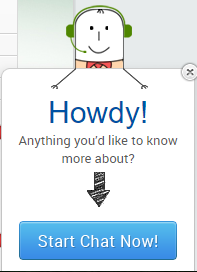 Also, the popup live chat is a great addition to the support feature. All these support facilities prove that iXWebHosting is very much careful about their customers. 90-day money back guarantee. 90 days means you can check whether the hosting company, iXWebHosting, is a good fit for your site during a period of long 1 and a half month. So, can you imagine how much time you’re getting to judge their services? They’re very bold to offer this long period for their users to test their services. iXWebHosting has three types of hosting plans such as the shared, the VPS, and the cloud hosting plans. All the features that I mentioned in the features part of this post are available on all the shared hosting packs of this hosting company. The cloud hosting is a matter of interest to many of you. For a better hosting experience, many people are moving to cloud hosting. In fact, a cloud web hosting is good because it is run by multiple systems. They claim that their cloud hosting is more reliable than the shared hosting. You’ll get a better experience, security, and uptime using the cloud hosting. So, choose any hosting pack from the above 2 if you need more privacy and security for your website. So, the uptime records prove that the 99.9% uptime guarantee given by the hosting company isn’t false. I’ve also tested the speed of the server using PICKUPHOST’s tool. Also, the server location was selected as the USA. The speed of the web hosting that I got from my test was very promising as it was 35 ms. The tool claims this speed as the “Turbo” speed. So, the hosting company also passed the speed test with a great score. This isn’t all as I also tested the server response time of a site that’s hosted on the starting shared hosting plan of iXWebHosting. I used PageSpeed Insights and Pingdom Speed Test tools to find out the server response time of that site. In both the cases, I got a good server response time which indicates that the hosting responds very quickly. One of the major factors of a hosting company is its uptime and in this case, iXWebHosting has passed with a great mark. The server response time is also awesome though you’ll have to say goodbye to this nice hosting company if your need is to host your site on a dedicated hosting plan. Also, the control panel provided by the hosting company isn’t easy-to-use, so you should think twice before buying any of its services. If you think that the shortcomings of the company’s services aren’t a big deal to you, then you can happily start your site using iXWebHosting.